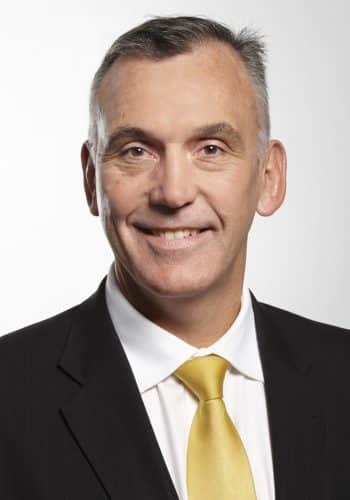 John Welborn is the Managing Director and CEO of Resolute Mining Limited. Since joining Resolute in 2015, Mr Welborn has led a dynamic period of transformation and value creation at the experienced Australian and African gold miner. An experienced CEO with a strong record of accomplishment in the development of African resource projects, John has defined an ambition for Resolute to become a leading global gold mining company. A former successful investment banker, international rugby player, and senior resource company executive, John has attracted a high quality management team to Resolute and focused the Company on balance sheet strength, operational excellence, and the creation of value. Mr Welborn is a champion for responsible and sustainable mining development in West and Central Africa and was named by MiningMx as one of the 100 Most Influential People in Africa’s Mining Industry. Mr Welborn is a Chartered Accountant with a Bachelor of Commerce degree from the University of Western Australia, and is a Fellow of the Institute of Chartered Accountants in Australia, a Fellow of the Australian Institute of Management, and is a member of the Australian Institute of Mining and Metallurgy, and the Australian Institute of Company Directors. Mr Welborn is a Director of the World Gold Council, a Director of the Australia-Africa Minerals and Energy Group, and is Non-Executive Chairman of Orbital Corporation Limited (ASX:OEC), and holds non-executive directorships with Equatorial Resources Limited (ASX:EQX) and Kilo Goldmines Limited (TSX-V:KGL).